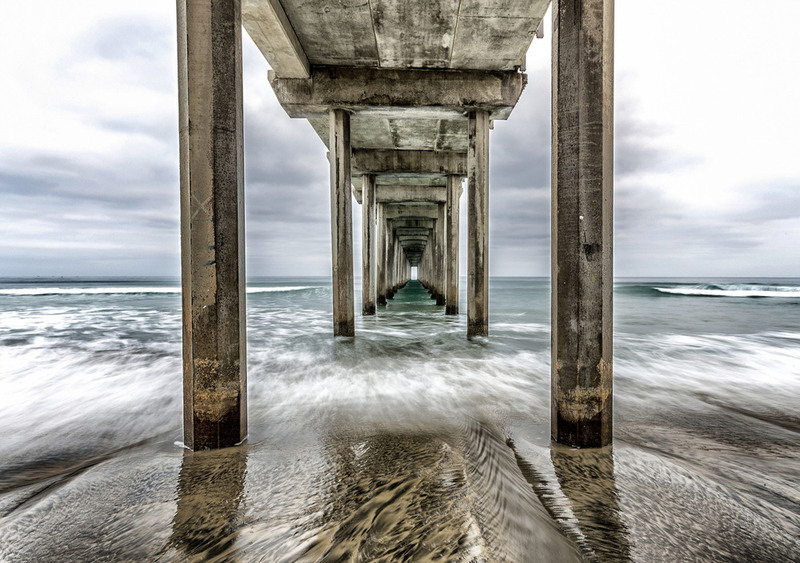 I arrived at around 5:30am to shoot this early morning image of Scripps Pier on a dark, overcast day in La Jolla, California. The way the sand forms those wavy patterns of dark and light in this image is especially interesting to me. I ended up staying for the entire day, exploring the area and then later hiking up in the Torrey Pines area in the afternoon before heading over to Windansea Beach to photograph "California Dreamin'" at the beautiful sunset that concluded this amazingly beautiful day.